Ursula’s background in building started at age 17, with an internship at Fletcher Residential where she enjoyed 10 years as a draftsperson. Fast forward several years, Ursula began her own interior design business & in the background developed several of her own building projects on the Northshore. 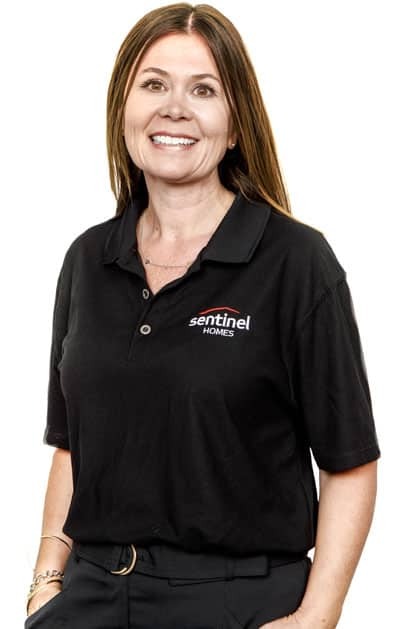 She began her journey with Sentinel Homes in 2016, along with her husband Brent, where they set up a boutique office, helping their clients build fabulous homes. They hand selected an experienced team to work with them in the Warkworth and Matakana area, then, sadly Brent passed away suddenly in 2018. Ursulas experience & connections in the industry have put her in an excellent position the lead the team. Ursula's team in Warkworth pride themselves on listening to their clients needs and budget, and understanding the importance of great communication - "Communication is everything in this business. Beginning at our client all the way through to our team on site. It’s not a five minute service we are offering. We are together for quite some time and it’s a relationship that often lasts a lifetime." Fridays - Sundays 12pm - 3pm.